Succinct, user-friendly, thoroughly referenced and prepared by leading experts in the field, this book is the only single textbook you will need to succeed in the Royal College of Psychiatrists' MRCPsych and other related higher examinations. 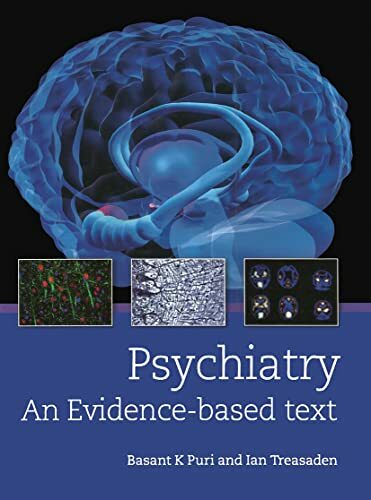 The book is carefully structured and sequenced to building upon the basic sciences underpinning psychiatry, through to an in-depth description of pharmacological and psychological treatments used. "I really liked this book. It was a pleasure to review as in spite of the fact that it looks large and 'academic' the text is so well-written that I became engrossed in some chapters, reading as a book, rather than skimming to find the information that I needed." 'The breadth of topics covered is impressive... This book will provide a solid reference source which can confidently take its place next to its more established rivals'. PURI, BASSANT ; TREASADEN, IAN.